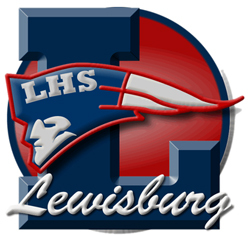 Last year, our inaugural year with the National English Honor Society (NEHS) at Lewisburg High School, the officers set out to find a fall charity project to promote literacy. 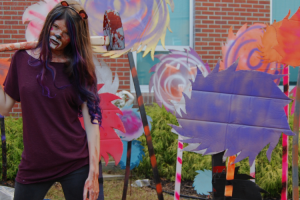 It is no secret that Mississippi falls dead last in literacy nationally, and the Lewisburg students wanted to make a difference, even if a small one. We set up some small projects for our campus, which encompasses a primary school, elementary school, and middle school, along with our own high school. In all honesty, the schools on our campus do not struggle with the rampant poverty and lack of community support as do other areas of our district and state. We are a middle class, farming community with many professionals who commute to Memphis so they can still enjoy the “country life,” and quite frankly, send their kids to our school, which is ranked much higher than other public schools in the area. For Mississippi, the middle class is doing well. But the whole key to this scenario is that the Lewisburg students know they are blessed. 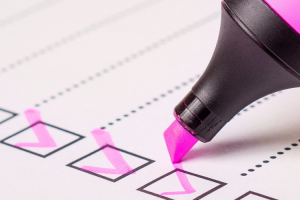 They know that literacy and education got their parents out of the trap of poverty most Mississippians fall into, with symptoms such as childhood obesity, preventable childhood disabilities and diseases, teen pregnancy, and minimum wage jobs. These kids so get that education is the key to helping our state. 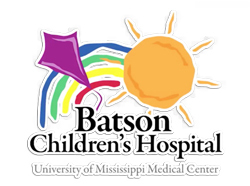 So into the story comes Blair E. Batson Children’s Hospital in the state capital of Jackson, MS. Growing up in metro Memphis, our kids do many fundraisers for LeBonheur Children’s Hospital and St. Jude Research Hospital, both in Memphis. However, the students needed to know MS has its own children’s hospital, which treats Mississippi children and is funded through their taxes, and often struggles for funding. Blair Batson Hospital became a second home to Lewisburg High School NEHS Chapter Advisor Cherylon Teel’s personal family as her nephew Cade Ainsworth sought treatment there for cancer in 2010-12. Unfortunately, he passed away. These NEHS officers were the same age as he and had learned all about him from Teel during his treatment and death. They wanted to help her give back to the hospital that took such good care of Cade and support the MS children who are patients there. There really was no way to prepare them for all they would see and experience. We started our project by collecting new books at our school. We were able to get more than 1,000 books donated from students and their families. Not only did the NEHS members collect and organize the books by age and ability, they also wrote notes in the books and encouraged those donating to do the same. Some notes just said, “This one was my favorite as a kid. I really liked the part when….” Some were just encouraging notes about how cool reading is and how it helped through a hard time. After we gathered all the books together, our chapter packed up for a day trip to Jackson. The hardest part was earning enough gas money to take a bus on a 3+ hour trip (around $200). The kids pitched in and so did our athletic department because several NEHS members also are athletes and our athletic director Rusty Cagle felt it was a good experience for them to learn about community service. Our school Assistant Principal Spence Rodman agreed to drive us down and participate in chaperoning students as well. When we got there, they divided us up into two groups and sent us to different floors. Each floor of the hospital focuses on particular needs and illnesses. We loaded our books onto carts and went from room to room. Our members chatted with the kids about their interests and recommended books to them. It was awesome to see 17-year-old baseball players helping little girls find a book with her favorite princess (Frozen was a favorite). They encouraged the kids to read and asked them if they liked to write. Some patients had siblings in the room, who we also equipped with books. 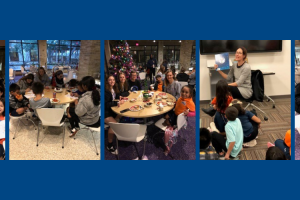 The nurses were able to share with us particularly struggling families that probably did not have access to books at home so we were able to give out multiple books to those children. Some of the patients were there for short-term illnesses, but many faced obstacles that meant they would be in and out of the hospital their whole lives. Some children we visited will never leave that hospital. I think one aspect of the visit which really hit home for our chapter was the neonatal unit. There we passed out books to teen moms and even some very young grandmothers. We also gave them books to read to their small babies. On the ride home we tried to talk about all we had seen and experienced. The two groups shared with each other stories about some of the kids they had met and favorite books they had pared with a kid. Our club president, Cody Layne, talked about sharing a Diary of a Wimpy Kid book with a little boy who admitted he had never read a whole book before. Cody later told me, “I loved that book when I was a kid, but it became even more valuable to me as I saw what it could do for a sick child.” Another student, Micah Nichols, later said, “Seeing those kids’ faces light up made me realize how special books really are. They can be hope in a bad situation.” Most of the kids on the bus were planning to attend a Mississippi college and talked about planning their own similar projects on campuses. One girl shared about our visit with her boyfriend at a local Jackson college, and he became a regular volunteer through his pre-med program. The hospital experience brought them eye-to-eye with other parts of our great state they might not always get to see. They feel so helpless to help our state and its many struggles, but the experience let them believe even more firmly that literacy is the answer. The girls talked a lot about those teen moms and what they must face in terms of finishing high school, much less going to college. They have seen their own peers in this situation, but seeing sick, precious babies lying there was eye opening. It was a special day for all of us, especially for Mr. Rodman and me as educators. We feel that the kids made a connection between literacy and the struggles of their MS community in a new way. Hopefully it will have a lasting impact on their lives as they grow into professionals and community leaders. It also touched me to see athletes and “cool high school kids” admitting that reading is fun and necessary to be successful. All I can ask from them is a heart for literacy and to be an example for the community. I am proud to say this crop of NEHS members will not let me down. By the way, we have a new project for this fall: we are helping share literacy with foster kids in our area!